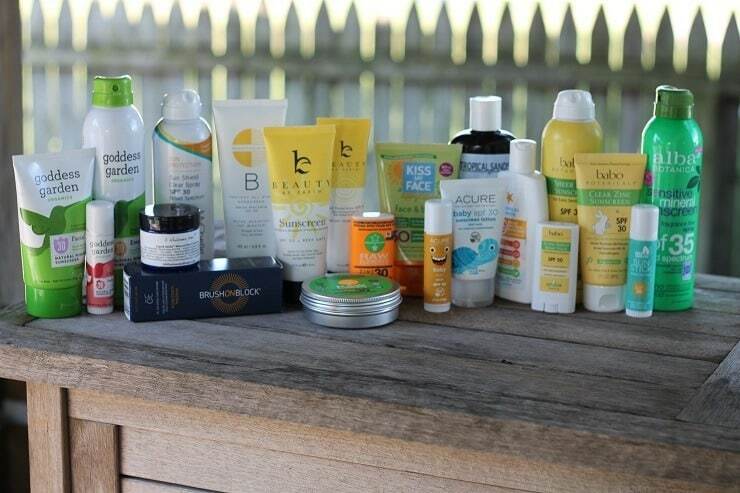 This may read more like a news story than usual around here, but when you’ve tested over 100 natural sunscreens to find the very best ones, you tend to get a little passionate when sunscreen hits the news. In this case, a very GOOD thing may be happening to get more people to embrace zinc oxide sunscreens (will they step away from the sprays? ), but opposition is fierce. 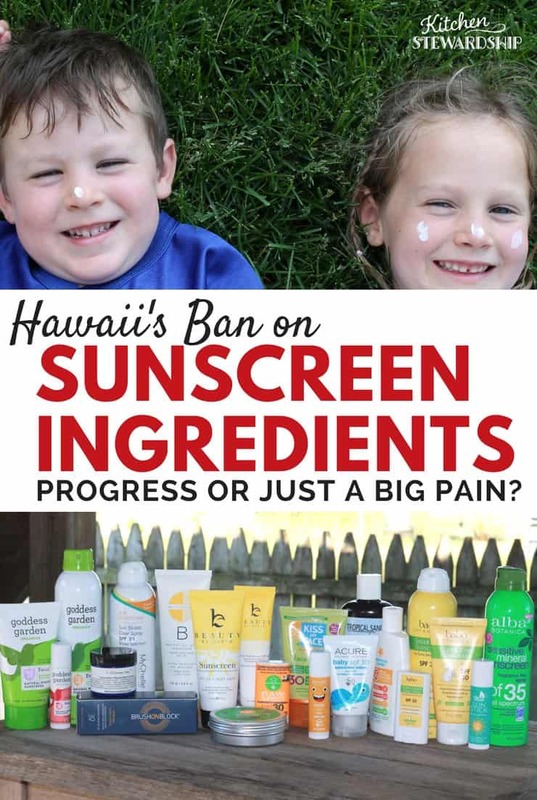 Legislators in the state of Hawaii have passed a bill that, if signed into law by the governor, will prohibit the use of certain active sunscreen ingredients in the entire state of Hawaii. The effort is to save the coral reefs from the danger of oxybenzone and octinoxate, very popular active ingredients in many sunscreens and washes off swimmers’ bodies into the ocean. Both have been shown to be toxic to marine life and cause coral bleaching. Levels of oxybenzone in Hawaii reach up to nearly 3,000 times the toxic limit, which experts say could completely kill reefs in 10-15 years. I’ve known about this since last summer when I got to interview a sunscreen guru and formulator who’s been in the business since the 1980s, back when the most popular sunscreen was SPF 4 and was intended to INCREASE your tan! My, how times have changed. The bill was also mentioned here in a great video interview with a Harvard-trained dermatologist working on how we can protect our skin from the sun through what we eat. To read the press release about the study from the lab who conducted it, go here. I’m SO excited that genuine legislation is about to solve a problem that harms both the earth and human beings – but it’s not without controversy and detractors! Why Ban Oxybenzone and Octinoxate in Sunscreens – Especially in Hawaii? I’m of the opinion that alllll chemical sunscreen ingredients should be banned everywhere, but I’ll take what I can get. They’re endocrine disruptors, which means they affect our hormones. We hear statistics about things like sperm counts being 50% less over the last forty years, and many people are sure that endocrine disruptors in our environment are to blame. Oxybenzone in particular is pegged for lowering testosterone. If you are avoiding BPA or phthalates, you should be avoiding chemical sunscreen for sure. They release cancer-causing free radicals in your skin after 2 hours in the sun – which is exactly opposite of what we’re trying to do to prevent skin cancer by not burning! Oxybenzone is found in the blood of 97% of Americans – this isn’t just Hawaii’s problem. Octinoxate has an additional concern – that it may increase the permeability of our skin, which could further enhance the damage of any and all chemicals in the sunscreen you’re using! The coral bleaching is a massive concern to the ocean’s eco-system – and so easily stopped, just by switching out our sunscreen! Read more about exactly HOW oxybenzone harms coral here – terrifying! Who is Against the Ban on Sunscreen Chemicals in Hawaii? Big sunscreen brands of course are concerned that they’ll lose market share in Hawaii. There are alternatives already available (and have been for years) that are “reef safe,” and the big companies would typically have to reformulate or at best only offer one of their current products instead of an endcap full of a dizzying array of choices. The thing is, they act like they’re looking out for consumer health, blaming “weak science” for being behind this bill and throwing the risk of skin cancer in our faces. If it’s bad science, it’s hard to believe that half the Great Barrier Reef has died off in the past two years alone without human intervention. In reality, there are options that protect our skin as well (or better than!) those with oxybenzone and octinoxate. The best ones are those with one single active ingredient: zinc oxide. It’s the only FDA-approved active sunscreen ingredient that protects from both UVA and UVB rays without having to mixed with something else – that’s why you see so many actives on most sunscreens, because nothing but zinc can offer full broad spectrum protection by itself. More on safe sunscreen and skin cancer dangers here. My guess is that unwarranted concern over skin cancer risks (Hawaii Medical Assn?) and money/economics are behind all of them. Bayer, parent company to Coppertone, bemoans in the Washington Post that the bill will “restrict consumer choice.” Oh, poor us! I say, let’s let sunscreen brands that will keep us all safe make some money here! Just because 70% of sunscreens on the market – 3500 different ones – contain oxybenzone and octinoxate doesn’t mean it’s best for human bodies – and it’s clear to me that the “Consumer Healthcare Products Association,” which opposes the bill, is not in business for the good of the consumer, but the good of big brands. One reason that we have found ourselves in this pickle is that the FDA hasn’t approved any new sunscreen active ingredients since the 1970s, and there wasn’t any sort of environmental toxicity testing done back then! If passed, this bill won’t even go into effect until 2021 – PLENTY of time for big brands to reformulate (darn) and for smaller brands to get ready to sell more. Already, Raw Elements, one of my favorite brands, is available in Hawaii, and you can even buy it at a discount on your airplane out there through June this year! A new one we’re testing this year (with high marks!) is Kōkua Sun Care, made in Hawaii and painstakingly following all the rigorous testing the big brands endure to be FDA compliant. I want to see Hawaii’s Chamber of Commerce get behind that “home field” brand! My family and I have personally tested over 100 different kinds of sunscreen, focusing only on those with non-nanosized zinc oxide or titanium dioxide in the active ingredients. Some of them are certainly awful, some make you white, and some include other unsavory ingredients that don’t pass my very high standards. But there remain about 10 that I recommend, and the big report on the best natural sunscreen out there is truly the most comprehensive resource on the web when it comes to actually buying reef-safe sunscreen. Want Raw Elements at a discount? Use the code KS10 here for 10% off! Same code takes $10 off your first tube of Kōkua here! We work to get the best deals for you on the best safe sunscreens! There’s a lot of propaganda flying around that all zinc-based sunscreens are white and pasty and that they aren’t effective – this is an attempt by the big sunscreen companies to scare us into opposing the bill. In fact, zinc-based sunscreens can be just as effective (or more) against the harmful effects of the sun, are much safer for humans (and reefs too of course), and don’t have to make you look ghostly when you’re trying to have fun at the beach. Also, I get it – that wasn’t a news story. Totally editorial with heaps of passionate opinions. I’m not a journalist! Do you read sunscreen ingredients? Do you think Hawaii should ban these two chemicals? It’s terrifying that the coral reefs are being destroyed so quickly. What are we doing to our planet…and our bodies? ☹️ It makes me so sad that it seems to be such a partisan issue and we can’t all come together on this. My husband and I are trying out the tinted Raw Elements this week. Hoping we like it. We always use Badger (& still will for the kids) but it would be nice for our faces not to be chalky white. It’s not worth switching back to toxic sunscreen though. 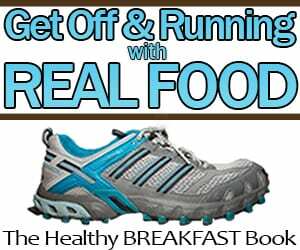 I hope your review will include some more frugal options (besides sun protection clothing)! I struggle with affording the good quality sunscreen! We have a large family – 6 kids, 2 adults – so we go through sunscreen fast, and when it’s so expensive, we just can’t afford it. So we have to compromise, but I don’t know what a safer alternative could be that won’t be so expensive but at the same time will actually work and apply nice on the skin. I think it was last year you mentioned Tropical Sands as being a more frugal option. Do you still recommend tropical sands this year? Does it work? Are there any other frugal sunscreen options you recommend (that are not DIY)? I’ve tried a couple mineral based sunscreens in years past, and just haven’t liked them, or they are just way way too expensive. I’ve tried making my own (which is nice cost-wise), but despite reviews I’ve read about homemade sunscreens, they just don’t seem to work well for us, especially for the couple of kids of mine who are more fair-skinned than the others. The fair-skinned kids would always still burn, or their skin would be quite pink, despite reapplying frequently and liberally. I really look forward to hearing back from you! Thank you for really digging into sunscreen! I really appreciate and trust your expertise! Hi Jill – not sure if I’ll be in time for Thursday online orders, but you can usually find Badger in either CVS or Walgreens. We love that brand. For kids applying to themselves, I’d get a stick for the face – but ALSO you can totally apply in the a.m. before she leaves and it will still work by afternoon as long as she hasn’t rubbed it off! A stick to reapply on the face might be nice. I’m not sure if Walmart has any, but Target carried Pacifica last year – just remember to look for “zinc oxide” (or maybe titanium dioxide) in the ingredients and you’ll know it’s a safe one. The review is still up from last year and includes per-ounce pricing, so you can check it out and see if there are any to find locally: http://kitchenstewardship.com/sunscreen I’m working on updating it this afternoon, although it may take more than a day! Your article is awesome! Thank you for summing up many of the facets of the Hawaii’s Bill to ban oxybenzone/octinoxate products. I am really glad you wrote it, and I think it can reach out to people where “nerdy” scientists just don’t have the skills to effectively communicate (see!). It is interesting to note that the medical association that stood against the bill all receive money from the personal care product industry, both individual corporations and lobby/interest firms – on an annual basis. I think the American Academy of Dermatology, Inc is on really shaky ground. Look up “Sunscreen Abuse” as one of several arguments for the increase of skin cancers in the age of sunscreen promotion. The other The other is that most hydrocarbon-based UV sunscreens readily absorb in the UVB range (which prevents sunburn), but really are inefficient in protecting against UVA radiation, which prolonged exposure can induce DNA damage, and increase the risk for skin cancer. Again, thanks for taking the time and putting these types of articles out there. I’ve even used some of your meme quotes regarding sunscreen and birth control patches in my scientific talks! And when you are ready, I’ve a huge pile of scientific studies showing links and statistical associations between prolonged oxybenzone exposure and birth defects. Look up Hirshsprung Disease and Benzophenone-3 (synonym for oxybezone). Aloha , we need you to check us out ! We are the first Fda approved AND plastic free mineral sunscreen in Hawaii ! We are sold in over 100 locations in Hawaii , we know you will love it. A year ago, I found a new brand of mineral sunscreen, called TropicSport. Full disclosure, I believed in the proposition so much that I joined their team and am now working full-time for TropicSport. I loved your article/editorial. It’s actually full of facts and very well-researched! We spend 90% of our time on education and awareness. There is just so much misinformation out there! I wanted to comment on the last comment about cost. The mineral sunscreens do cost more because the ingredients are more expensive and are typically produced by smaller companies like ours who don’t have the size to negotiate. There are lots of people working on reducing the costs, but it will take the big manufacturers influence to reduce costs of mineral sunscreens. One way TropicSport has worked to make our products more cost effective is that our formula lasts longer than other mineral sunscreens. Our founder spent years formulating and re-formulating our product to meet BOTH the U.S. FDA requirements of 80-minutes water resistance AND the Australian requirement of 240 minutes water resistance. So what that means is TropicSport lasts 3x longer than other US brands. (We are made in the USA). So our cost/use is 1/3 the cost of other mineral sunscreens. It really lasts longer. You don’t have to publish my comment – but I’d love to tell you more about us. Thank you for spreading truth about toxic sunscreens! Perhaps some day will come when we focus on creating food and health as a society instead of outsourcing everything to mega-corporations that generally give us toxins! Thank you for working towards that future! We’re definitely all on the same team, we just need to get those big corps to play like it! Thanks for the sweet comment! I am curious about your suggestions for applying sunscreen to yourself? I don’t have family or a partner and live in California, and I am outside walking dogs for my job alllllll day! I am really concerned about getting lotions vs spray and not being able to apply to my back which is exposed by my tank tops to keep cool! I know that there are supposedly some sunscreen sprays that use non nano particles… tips for me? Thanks so much!